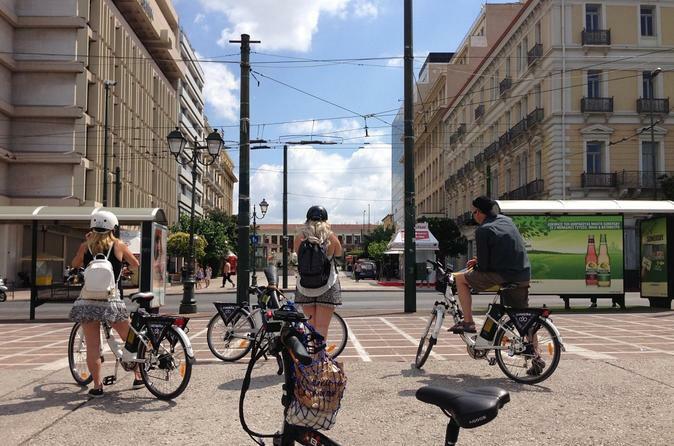 Discover the famous and hidden delights of Athens on a fun, imaginatively routed 2.5-hour electric bike tour. Hop on an easy-to-ride e-bike, and cruise around Athens’ must-sees and some lesser-known districts that many visitors miss. See the landmarks of modern Athens including the Zappeion and Parliament House; take in classical antiquities; and leave the tourist track to discover tucked-away alleyways and other great places. Get inside tips on eating, shopping and nightlife from your knowledgeable guide, and come away with a fresh perspective on the city. Ideal for first-time visitors.